Take a look at what a CrossFit Class is really like! What the outsider looking in sees—weights banging, people grunting, loud music blaring, and a coach shouting cues and encouragement. You will see our athletes moving as fast as possible from movement to movement—lifting weights, doing pull-ups, jumping on boxes. To the uninitiated, it can seem a little chaotic and intimidating and if you’re hesitant about starting CrossFit, you’re not the only one! 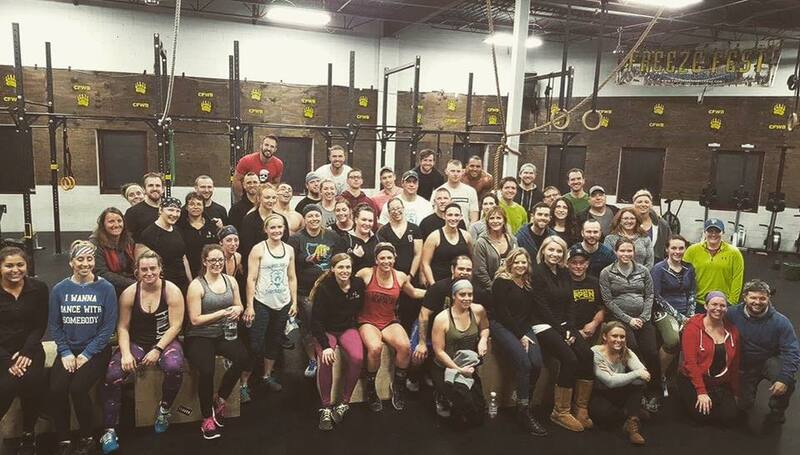 Our gym is filled with both coaches and members who—like you—weren’t sure if this CrossFit thing was for them! Hopefully gaining some insight into the world of what CrossFit really is (and is not) will help you feel comfortable scheduling a time to check it out for yourself and form your own opinion! Step 1: Schedule a complimentary one-on-one meeting with a coach. We said it before, but we will say it again! Taking your first few steps into a CrossFit gym—like most things in life that help you grow as a person—can be stressful, uncomfortable, and exciting all at the same time! So you just got done watching a YouTube video of Six-Pack Sally flying around on the rings and you’re thinking, “no way can I ever do that!” Well good, you’ll fit right in! We aren’t saying that there aren’t those crazy folks who can do that at our gym. Hell, we aren’t even saying that you won’t be one of them some day! Click to read about our members’ experiences! 1) When you walk in, you will be greeted by a coach and given a tour of our facility. 2) You and a coach will have a conversation about your current activity level, potential injuries, your goals, and why you have come to BearFitness. 3) We will explain to you what our program is about—and CrossFit is only one part of it! 4) If you choose, we will coach you one-on-one (not in a class) through a workout with light or bodyweight movements. 5) Following the workout, we will guide you through some cool-down stretches and answer your questions about the workout and membership options. Well, Day 1 was a success, what next? CrossFit is like the buffet of fitness when first starting out, it can seem like there an endless number of movements used to help you crush your goals! This is great because it allows us to keep the workouts fresh and new and keeps our clients from becoming bored. It also means that there is a big learning curve when you first start out, and it will take some time to learn them. While you are likely to have the basics down within the first couple of months, there is enough variety involved in CrossFit to keep you learning for years! Our coaches are very aware of this, as we all still have things we are working on ourselves! 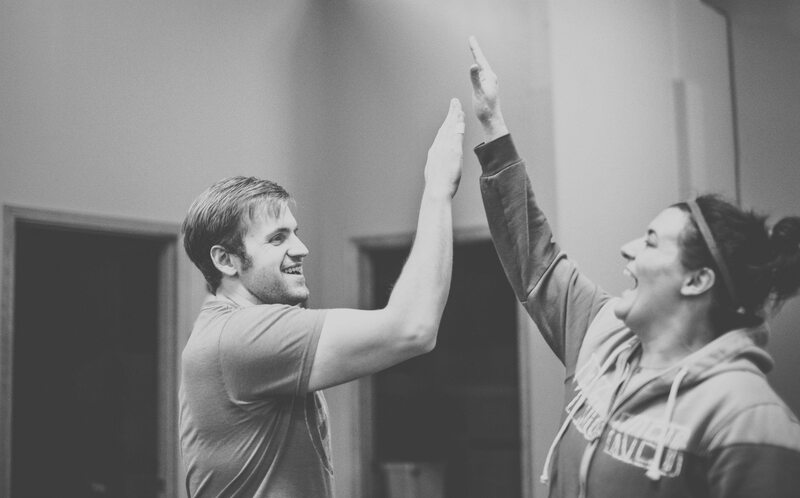 In order to get you started on the right foot, your first step is to do four Foundations classes where we break down the most common movements and help you get ready for the intensity of our classes. Taking the plunge—joining group classes. Let’s walk through a typical class session! If you get to class a few minutes early, you may be unsure of what to do. You will probably see people using this time to start warming up on a bike or rower, stretch, or socialize with friends! At the top of the hour, we will gather up at the white board, and the coach will introduce you to all of your classmates. Remember, they are all people just like you—normal people trying to better themselves. Reformed couch potatoes and former athletes surround you but they all have the same goal—being better today than they were yesterday. After introductions, the coach will run you through the workout. They will explain the movements, discuss options for “scaling” (i.e., modifying the movements or weights to be suitable to your ability), and ask if you have any questions – if you do, make sure to ask! Chances are everyone else there had the same questions when they started out. Next will be the warm-up, which will likely include more unfamiliar movements. But, again the coach will explain in detail what to do! The class will do the 10-15 minute warm-up together. Boom! You survived the intro and the warm-up, but now comes the point of no return! You can’t leave, you can’t hide you just have to get to it!! Unlike other gyms where you go to workout on your own without instruction or feedback, the whole workout you have a coach making sure you know what you’re doing, keeping you safe, and helping you push yourself! Will it be hard?? We sure hope so! Experiences like these help us grow as an individual, and today will be the first of many days where you think “I can’t do this,” and then you find out how bad a$$ you really are! In the end, you will find that you did it! To your surprise, you survived your initial consultation, foundations class, and your first workout and it was oddly fun…and everyone else is a sweaty mess just like you! 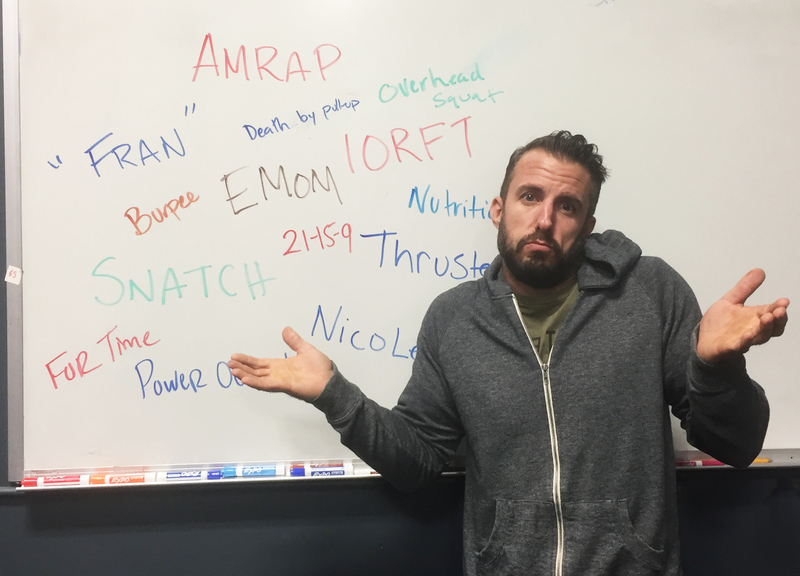 So what is CrossFit, really? To some extent, it’s whatever you want it to be. Looking to drop a few pounds? We can help with that. Want to gain strength or improve your cardio? We’ve got that too. Missing the competitive aspect of team sports and want to find a place you can push yourself and engage in friendly competition with your peers? Yep—we have that covered. Just want to stay active and have an hour to yourself to blow off steam? You’ll find that here as well. • Professionally programmed workouts that are challenging, scalable and fun. • Engaging coaches that will help keep you accountable and keep you safe. • Advice and resources to get your nutrition dialed in. • A community of supportive people trying to better their health all while balancing their life. Start your journey today by clicking here scheduling a one-on-one appointment! Want us to contact you? Fill out the contact form below and we will contact you within 24 hours! For all of you seasoned CrossFit members reading this, reflect on your first day, your struggles, accomplishments and where you have come from—from doing your first pull-up, or shedding those extra pounds, to the improvement in your self-image and confidence to know that you can tackle anything in life if you put your mind to it. Ultimately, we hope your journey is not only about improving at CrossFit but also about improving your life!